For several months I kept my iPhone in a folio-style case. The case gave the phone the high level of protection that I wanted but it had a couple of issues. For instance, I like to use my phone for GPS routing but I couldn’t mount it securely on my car’s dashboard without removing the phone from the case. Also, the folio case made it difficult to use the phone with a selfie stick or tilted correctly for video calls. Now I’m checking out the Navor iPhone 7 Plus Case, which looks like it will provide everything that I want in a phone case. 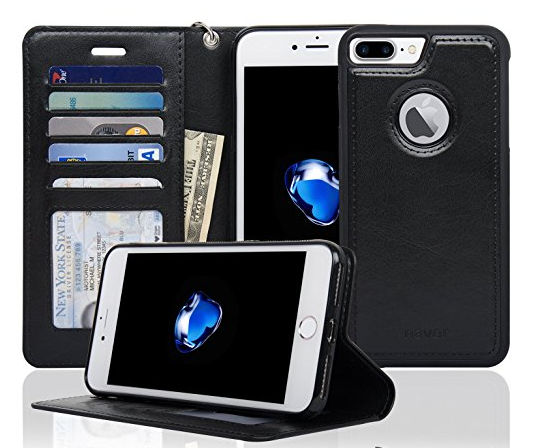 The Navor case is a wallet-style case that has one flap to cover and protect the screen and another with slots to keep credit cards, IDs and cash. It also has a hole for a wrist loop and blocking material to shield the credit cards from RFID snoopers. But this may be the best part: The case holds the phone in place with a magnetic connector. 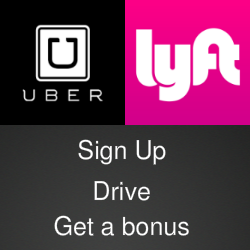 That means the phone can be quickly removed to use with a magnetic car mount or with a spring-loaded selfie stick. The case also functions as a stand and it let the phone swivel to find the best position for video calls or viewing. 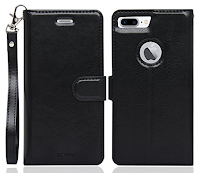 The Navor wallet case sells for $16 or less and can be ordered in the Navor Store or on Amazon. 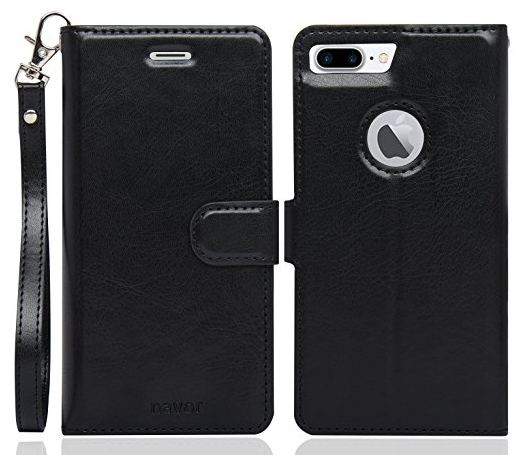 The video below shows the wallet case in a version that includes a battery charger.